Labor is promising a “living wage” rather than a “minimum wage” if elected. It will ask the Fair Work Commission to first determine what wage would offer a “decent standard of living for families”, and then to determine the time frame over which it should be phased in, taking into account the capacity of businesses to pay, and the potential impact on employment, inflation and the broader economy. It is selling the idea of what would be a very big increase on the present minimum wage as “good for workers and good for the economy”. The idea harks back to the 1907 Harvester judgement, in which an arbitration court judge decreed that wages at a Melbourne factory should be based on the cost of living “for a worker and his family”. Budget explainer: why is Australia’s wage growth so sluggish? To get there from the current bare minimum wage of A$18.93 per hour would almost certainly require increases bigger than the sum of productivity growth and inflation, which are running at a combined annual rate of around 3%. Unacknowledged by Labor in spruiking the policy this week was the fallacy of its consumer spending argument, the cost of the proposal to jobs, and the likelihood that it won’t much help many of the people who need it. One of the claimed benefits of a living wage is that employees will spend most of their extra income, resulting in large increases in national spending, national income, and even the tax take. An implicit assumption is that the extra money comes “as manna from heaven” with no second-round effects. But given that other labour costs won’t come down (it is hard to see executive pay being cut), the labour cost for each affected business will climb, pushing down returns to the providers of capital, including the returns to shareholders and small business owners. With lower returns, less capital will be put up to invest. Where businesses can, they will pass on the increased costs not matched by increased productivity by increasing prices. They will get away with it unless they face competition from imports or other exporters. Where import competitors and exporters face international competition, they will reduce output. In turn, the greater amount of money sent out of the country will eventually push down the Australian dollar, pushing up the Australian dollar price of import and export products. In the short term, the increases in prices of goods and services will cut the purchasing power of the wage increase. In the longer term, it might create a vicious cycle of wage and price hikes, with adverse economic consequences. It is well established that wage increases above the rate of productivity growth plus inflation lead to less employment than there would otherwise be, in both the number of employees and the hours worked per employee. Labour costs are a major expense for most businesses. In response to higher labour costs, many employers will choose less labour-intensive ways of making their products. The large and rapid wage increases in the mid-1970s and early 1980s resulted in sharp reductions in employment. In contrast, the recent low rates of labour cost increases have helped drive significant increases in employment and a fall in unemployment. With the Australian economy facing a likely slowdown over the next year or two, a large increase in wages might be particularly poorly timed. Universal education and health care, and the redistribution of income via social security payments funded by a progressive income tax, are the most direct and effective ways to fight household poverty. The world today is very different to the world of the Harvester case in 1907. Then, most workers were in full-time employment and needed a living wage to support a family. Now, about a third are employed part-time. Redistribution via the tax and payments system is how we support families who need it. A higher minimum or “living wage” would provide minimal assistance to some on low incomes, and would lift the incomes of many others not generally considered in need of support. Many of those below the poverty line who are only employed part-time or not at all would not be lifted out of poverty. A higher living wage would provide more to those already in full-time jobs than it would to part-time workers. And it would provide more to low-wage employees who are members of high-income families, who probably shouldn’t be our first concern. We can do more more directly to alleviate poverty by reforming the income tax and social security systems. They are specifically designed to redistribute income according to need. We should start by reducing income tax on low earnings, automatically indexing tax brackets, and increasing Newstart. Australia’s Harvester Judgement of 1907 defined a living wage as ‘fair and reasonable’ payment sufficient for an unskilled worker to support a family in reasonable comfort. The idea of the living wage is back on the political agenda. In the United States the Democrats are proposing to double the federal minimum wage. In Australia the federal Labor Party has promised to deliver a living wage. “A living wage should make sure people earn enough to make ends meet, and be informed by what it costs to live in Australia today – to pay for housing, for food, for utilities, to pay for a basic phone and data plan,” Opposition leader Bill Shorten said this week. The principle of the living wage is the subject of my book published in January. To write the book I spent five years researching working conditions in countries including Australia, Bulgaria, Cambodia, India and Thailand. What my research underlines is that there are limits to thinking about a living wage for Australian workers without also making the principle global. Australia first embraced the living wage more than a century ago in what is arguably the nation’s most famous labour law case. The Harvester Judgement of 1907 defined a living wage as “fair and reasonable” payment sufficient for an unskilled worker to support a family in reasonable comfort. In deciding exactly how much income was needed to assure this, Australia’s Conciliation and Arbitration Court examined 11 households to determine the cost of typical living expenses. These included lighting, clothes, boots, furniture, insurance, union membership, sickness, books, newspapers, alcohol and tobacco. Explainer: what exactly is a living wage? Twelve years later the principle was enshrined in international labour law, when the International Labour Organisation was established in 1919. It defined a living wage as one “adequate to maintain a reasonable standard of life as this is understood in their time and country”. A century on, Australia’s industrial relations system has long abandoned the central premise of the living wage. Around the world being paid enough to live on remains elusive. We are all intimately connected to many of these workers. They have assembled the phones we handle. They have sewn our clothes. Women in Bangladesh who make clothes for brands such as Big W, Kmart, Target and Cotton On earn as little as 51 cents an hour, according to an Oxfam report published last month. The report is based on interview with 470 garment workers in Bangladesh and Vietnam. Three-quarters of the Vietnam workers and all of the Bangladeshi workers earned less than a living wage (as calculated by the Global Living Wage Coalition). It is very hard for workers to mobilise for higher wages in many countries around the world. In January 5,000 garment workers in Bangladesh were sacked after going on strike for higher wages. During protests, police shot dead one worker. More than 50 others were injured. Striking garment workers in Cambodia have also been shot dead by police during protests. Especially in price-sensitive industries, globalisation exerts strong pressure on governments to keep minimum wages low, lest any increase lead to “capital flight”. This competition pits countries in a race to the bottom. Should labour costs go up in Bangladesh, for example, its government fears garment brands moving production to, say, Ethiopia. It’s a legitimate fear; in my 15 years of research I’ve seen whole garment factories dismantled and trucked across borders to countries where the labour is cheaper. The obvious solution would be for countries to cooperate and raise minimum wages collectively and incrementally (at an agreed percentage every year). This approach would help overcome “first mover risk”. Business would have less incentive to look for cheaper labour elsewhere. For this to occur would, of course, require huge amounts of international political good will. Nation states would need to put aside the tendency to think in terms of immediate self-interest and work cooperatively for mutual benefit. Here we face a problem with the architecture of international law in general, and labour law in particular. Though the principle of a living wage was enshrined in the treaty that formed the International Labour Organisation, it is not codified in any of the eight fundamental international labour conventions. These cover forced labour, child labour, workplace discrimination and the right to unionise. But even if it was, that wouldn’t necessarily make much difference. International law isn’t the same as national law. Most international treaties, conventions and agreements are not enforceable. There is no real penalty for any country that refuses to sign, nor for any signatory failing to meet its obligations. The ILO cannot enforce targets in the way needed to address a problem this big. However, there is one area of international law that comes close to what we usually think of as law: international trade and investment law. In addressing goals like reducing tariffs, countries faced similar coordination problems. Beginning with the General Agreement on Tariffs and Trade, which came into effect in 1948, half a dozen major multilateral trade deals were negotiated before the agreement in 1994 to establish the World Trade Organisation. The WTO has since adjudicated hundreds of disputes in which one nation has accused another of failing to meet its WTO commitments. Investors can also take states to tribunals to seek compensation for unfair behaviour. States take these tribunals very seriously. Why not emulate this architecture of international trade law for living wages? Concrete targets for raising wages could be set through multilateral agreements. Countries would increase wages incrementally, by a certain percent each year, in a coordinated fashion, until they reached a living wage level. An international tribunal would hear claims against states accused of failing to raise or enforce minimum wages as agreed. National tribunals would adjudicate cases involving corporations. Cambodian garment workers, for example, would be able to take their government to the international tribunal for failing to raise wages or enforce minimum wage laws. A state held liable to pay compensation for wage breaches could pursue factory owners or their international buyers through national tribunals. This would be an incentive for states to police their own labour laws. Instead of having separate national conversations about living wages, now is a good time to start the conversation at a global scale. Lifters versus leaners is the language of the past. We are likely to see it less. Spending on social security and welfare accounts for more than a third of the Commonwealth budget. Because of its size, it has been one of the main targets of proposed cuts in every Coalition government budget since 2014. Despite this, social security and welfare spending has continued to grow. In fact the best way to describe the approach of the Coalition’s past five budgets is attempted rather than actual austerity, with the Senate rejecting or never considering repeated cuts. More than A$10 billion of these were served up again and again in budgets as so-called “zombie measures”. Whoever wins government will continue to face pressure to further increase welfare and social security spending as the National Disability Insurance Scheme ramps up and a royal commission and demographic shifts build the case for more spending on aged care. It is also widely recognised that Newstart, the main payment for unemployed Australians, is increasingly inadequate. It has slipped relative to pensions and wages each year because it is indexed to the slower-growing consumer price index. Payments for single parents are also inadequate, having been cut as a result of specific government decisions. The Coalition has responded with policy proposals that stigmatise recipients, such as drug-testing. It has introduced programs such as Online Compliance Intervention (“robodebt”) and ParentsNext that have arguably overreached in clawing back payments and imposing sanctions. In 2014, the new Coalition government’s first budget speech classified people whose main source of income was support payments as “leaners not lifters”. In 2017, the human services minister described welfare dependency as the most pressing problem facing Australia’s social security system, likening it to “poison” for the unemployed. And yet most of us are recipients at one time or another or have family members or friends who become recipients because of unemployment, ill health or family breakup. During any fortnight, more than 5 million Australians, or roughly a quarter of the adult population, receive an income-tested social security payment. This includes an age pension, a disability support pension, Newstart, a carer’s payment, a parenting payment or one of seven other categories of income support. Family tax benefits supplement the incomes of around another 855,000 families. And 900,000 or so families, many of them not receiving social security benefits or other family payments, are assisted with childcare costs. As we look over longer periods, receipt of social security payments becomes ever more common. The social services minister has used point-in-time administrative data to show that in 2018 the share of working-age Australians on welfare fell to 15.1%, “the lowest rate of welfare dependency in over 25 years”. But the longitudinal Household, Income and Labour Dynamics in Australia (HILDA) Survey finds that over the course of an entire year (2016) about one-third of working-age households contained someone who received an income support payment for some of it. The longer the time period, the more common becomes the receipt of payments. Between 2001 and 2015 around 70% of working-age households included someone who received an income support payment at some point (not including the age pension or family payments). It is one of the most important lessons of longitudinal surveys like HILDA – we, our family or friends are in this together. While the likelihood of receiving support is greater than acknowledged, that support is less intense than is commonly believed. HILDA shows that 70% of working-age households received some social security benefits over a 15-year period. However, only around 1% of working-age households receive the bulk of their income (90%) from benefits for 10 years or more. These were people with deep and persistent disadvantage. They were highly likely to be Indigenous Australians or people living in areas with limited job opportunities or people with long-standing disabilities or educational disadvantages. The welfare system does indeed provide temporary rather than long-term support for most recipients, and is potentially playing a very important safety net role. The social security system is among the core institutions of contemporary Australian society. And it can be regarded as one of the main levers of not just social policy but economic policy. Australian governments have used the social security system to stimulate household spending during recessions or to avoid recessions — as happened during the global financial crisis. An effective social security and welfare system is an essential underpinning of a modern economy, not least because security when people are in work requires security during periods when people are looking for work or outside the labour market. The first welfare priority for a new government has to be to increase the Newstart unemployment benefit. Opposition Leader Bill Shorten has promised that, if elected, Labor will do this via a “root-and-branch review”. Crossbenchers Rebekha Sharkie and the departing Cathy McGowan want to go further. They have introduced a private member’s bill that would create an independent commission to examine the adequacy of all social security payments other than family payments and payments to veterans. The commission would make recommendations rather than set rates. The review promised by Shorten and the ongoing commission proposed by crossbenchers need not be mutually exclusive. An immediate review could be used to increase payments in the short term, while an ongoing commission could examine longer-term priorities. Another urgent priority should be to reform the employment services network. It operates more like a system of penalties than an employment service, requiring participants to apply for 20 jobs a month or go on Work for the Dole programs rather preparing them for work. There is a case for going further. We are overdue for a comprehensive review of Australia’s social security system. This should be undertaken in an integrated fashion and include tax, family payments and payments for childcare and to support people who study and work. Looking further ahead, the ageing of Australia’s population is going to force us to spend more on health and aged care. Population ageing and increased life expectancy represent a fundamental challenge that will inevitably be met by collecting and distributing more of our economy in tax and benefits than at present. Some of the budget changes on welfare appear to be about sending the message that receiving welfare is undesirable. Whether these changes actually reduce social security spending and encourage independence to any significant extent remains to be seen. While the 2014 rhetoric of “lifters” and “leaners” may have been dispensed with, the dichotomy between “them” and “us” remains an underlying signal. There’s actually little current evidence of an unsustainable growth in spending on social security and welfare. So it begs the question as to why these measures are needed. One of the areas attracting the most controversy is the focus on payments for people of working age, particularly the unemployed and lone parents. Some of these measures appear to be more about signalling a stigmatising approach to welfare than identifying what works most effectively. For example, “a commitment to reduce social harm in areas with high levels of welfare dependency,” will continue through the expansion of the Cashless Debit Card to two new locations and an extension of Income Management for a further two years to June 2019. As academic Eva Cox has pointed out, the official evaluations of Income Management didn’t find evidence of significant changes as a result of the policy, even on some its key objectives including changing people’s behaviours. Then there’s a new approach to compliance for job seekers, a demerits points phase will be followed by a “three strikes” phase to engage with welfare recipients early and prevent them from incurring financial penalties for not meeting their obligations. The government has also signalled that it will promote “self-reliance before welfare” through changes to the liquid assets test. Currently, there is a waiting period for people making a new claim for Newstart Allowance, Sickness Allowance, Youth Allowance, or Austudy of between one and 13 weeks. It applies if claimants have funds that are equal to or more than A$5,500 for single people with no dependants, or A$11,000 for those who are partnered or single with dependants. From September 2018, the maximum Liquid Assets Waiting Period will double from 13 to 26 weeks when a claimant’s liquid assets are equal to or exceed $18,000 for singles without dependants or $36,000 for couples and singles with dependants – that is, people with savings above these levels may have to wait up to six months before receiving payment. Stigmatising welfare recipients, but at what cost? The government appears to be implementing a number of the substantive recommendations of the 2015 McClure Review of the Welfare System. In particular, from March 2020, the government will introduce a new, single “JobSeeker Payment”, which will progressively replace a number of payments such as the Newstart Allowance, Sickness Allowance, Wife Pension and Partner Allowance. While this is presented as simplifying the system, over 99% of people will have no change to their payment rates. The government expects there will be around 800,000 people receiving Newstart at the time of the change and between 15,000 and 20,000 receiving all other payments, to be combined into the new payment. Work requirements for the unemployed will also increase. Jobseekers will also have to spend more time looking for work or working for the dole – around 270,000 people aged between 30 and 49 years of age will be forced to spend 50 hours a fortnight. That’s 20 hours more than they do currently. This is despite a recent OECD report finding that Australia already has the heaviest set of obligations on the unemployed of seven countries. In the government’s new approach to job seekers, they accrue demerit points for failing to turn up or being intoxicated. Once four demerit points are incurred over a six-month period, they will be assessed for the next phase. This involves escalating financial penalties for each additional failure; with the first strike leading to a loss of 50% of a fortnightly payment, the second strike leading to a loss of 100% of a fortnightly payment, and the third strike resulting in the cancellation of payment with a four-week exclusion from re-applying. The rhetoric of “three strikes” (and you’re out) is clearly derived from changes in criminal sentencing. Another of the more striking initiatives in the budget was the announcement that from 2018, 5,000 Newstart Allowance and Youth Allowance claimants, in two trial locations, may be subject to randomised drug testing for cannabis, methamphetamine and ecstasy, as a precondition of their welfare payment. Job seekers who test positive will be placed on welfare quarantining to reduce the cash available to spend on drugs. After an initial positive test, the recipient would have further random drug tests, a penalty will only be applied for failing to comply with a test request. It’s notable that the cost of this measure is classified as commercial-in-confidence in the budget papers and has not been published. In a related initiative, the government will close “loopholes” which allow welfare recipients to be exempt from job seeker requirements solely due to drug or alcohol abuse. The government estimated that because of this 11,000 exemptions annually would no longer be granted. This measure will cost A$28.8 million to implement over four years. From July 1, 2017, people will also no longer be able to qualify for Disability Support Pension on the basis of their substance abuse alone. It’s estimated by the government that 450 fewer people will be granted Disability Support Pension each year due to this measure, saving about A$22 million over five years. But the testing of welfare recipients doesn’t end there, from January 2018, a stronger “relationship verification process” for existing single parents will ensure people are not getting higher income support payments by claiming to be single when they are not. From September 2018, people applying for the Parenting Payment (single) or single parents claiming Newstart Allowance will be required to have a third party sign a new form verifying that they are in fact single. Penalties of up to 12 months in prison may be applied to referees – presumably families or friends – who provide a false declaration. There doesn’t seem to be much concrete evidence for the effectiveness for all these types of measures. An Australian Institute of Health and Welfare report in 2013 did report that use of illicit drugs was more prevalent among the unemployed. It reported people who were unemployed being 1.6 times more likely to use cannabis, 2.4 times more likely to use meth/amphetamines and 1.8 times more likely to use ecstasy than employed people. But the same report notes that people with the highest socio-economic status were more likely to consume alcohol in risky quantities and to have used ecstasy and cocaine in the previous 12 months than people with the lowest socio-economic status. It also appears these figures don’t control for differences in the demographic profile of the unemployed and those in paid work. Welfare quarantining policies of this sort have been tried in the United States in recent years. According to the National Council of State Legislatures at least 15 American states have passed legislation regarding drug testing or screening for public assistance applicants or recipients. Reports of the effectiveness of this testing vary widely. In the United States, a 2011 review by the federal Department of Health and Human Services estimated the prevalence rate of substance abuse among US welfare users ranged between 4% and 37%. However, a review by US academics in 2005 found substance abuse disorders are less common among welfare recipients there than other serious barriers to self-sufficiency (such as physical health, poor academic skill and transportation difficulties, among a range of factors). These academics argued widespread substance abuse is not a major cause of continued economic dependence. Earlier research pointed out that in the results of drug testing of welfare recipients there was a large group of “false positives” with no apparent disorder; and that drug-testing could not distinguish “false negatives” who may may be alcohol dependent or experiencing psychiatric disorders and need assistance. There have also been a number of court cases in the US about the constitutionality of these drug tests when applied randomly, and it has been noted that similar proposals in Great Britain may violate EU based rights to privacy. It’s worrying that the budget papers do not identify the costs of the proposal nor the expected savings. Overall, it’s difficult to escape the conclusion that this proposal is symbolic, rather than designed to have a positive impact on the well-being of those to be tested. Social security and welfare remains the largest single component of government spending, and is projected to increase from A$164 billion in 2017-18 to A$191.2 billion in 2020-21, or from 35.3% to 36.6% of total expenses. Overall social security and welfare spending is projected to grow by 0.22% of GDP over the projection period. Spending on the National Disability Insurance Scheme (NDIS) is projected to grow by 0.46% of GDP, compared to other measures such as the spending on child care by 0.07% of GDP and spending on unemployment and related benefits by 0.05% of GDP. Most other components of social security and welfare expenditure are projected to fall over this period, with the largest impact being on spending on Family Tax Benefits. The development of the NDIS is clearly the most significant source of new social spending in this year’s budget. The additional 0.5% increase in the Medicare Levy to guarantee funding for the project will apply from July 1, 2019 and will raise an extra A$3.55 billion in revenue in its first year, rising to A$4.25 billion in 2020-21. There are also positive initiatives in continued funding for valuable longitudinal surveys, such as HILDA and the Parents Next Programme. The main area of savings is in the area of Family Tax Benefits, where savings are to be used to fund changes in child care – although the savings over the period are more than twice as great, as the increased spending on child care. These savings of A$1.9 billion over five years are made possible by not indexing payment rates to inflation until July 2019. In addition, a further A$415 million will be saved over five years through adjustments to the rate at which Family Tax Benefit A is income-tested when family incomes exceed the higher income threshold of around $94,000 of joint family income. As a result, around 24,900 families will lose access to Family Tax Benefit Part A, and around 71,800 families will see a reduction in their family payments. Overall, the 2017-18 budget has abandoned many of the most regressive welfare measures that have led to their blocking in the Senate since 2014. However, it remains the case that the freezing of payment rates for Family Tax Benefit will have the largest proportional effect on low income families with children, since these payments form a larger proportion of their disposable incomes. There are projected increases in spending on income support and services for the aged as a result of the ongoing and predictable ageing of the Australian population. There’s also smaller increases in income support for parents and for the unemployed – perhaps partly due to the simplification of support for working age recipients – but these are more than offset by reductions in other areas of welfare spending. To a large extent, the challenges facing government in providing the services and benefits that the Australian population values are predictable and manageable, so there is a need to base policies on evidence and not myths or stereotypes. 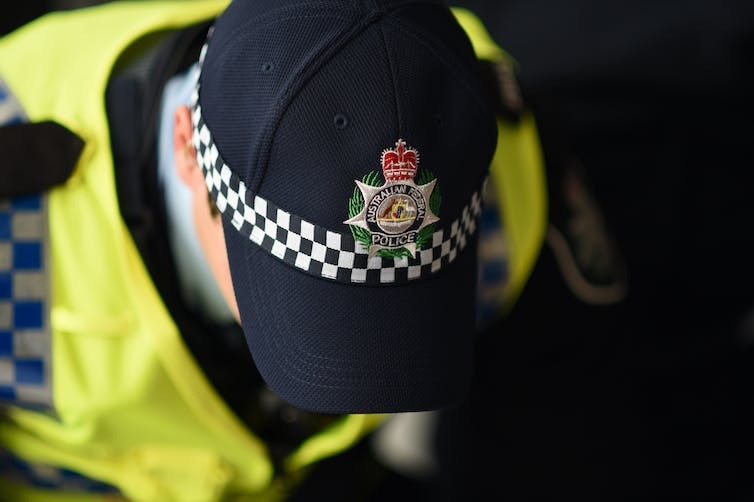 The Australian Federal Police will receive $321.4 million over four years for a range of measures. The government hopes to save A$632 million over five years from 2016-17 by strengthening penalties for non-compliance in Work for the Dole programs. Failure to meet requirements will result in suspended payments, and then escalating penalties. Defence spending will rise to 2% of GDP by 2020-21 as the government increases spending by $50 billion over the forward estimates. The Australian Federal Police will receive $321.4 million over four years to support counter-terrorism, and operations against organised drug imports, violent criminal gangs, cybercrime and serious financial crimes. Foreign aid has risen with inflation to $3.9 billion in the budget, and will rise again to $4.01 billion in 2018-19. However, it will remain at that level for the following two years. The current broadcaster licence fees will be replaced with new ones, costing the government $414.5 million over the forward estimates. The Conversation’s experts respond to these and other aspects of the budget below. For a budget that has shifted considerable ground in areas like education and health – and, to a lesser extent, housing – it strongly plays to existing Coalition themes on welfare. These reinforce punitive welfare measures and the divide between the “deserving” and the “undeserving” poor. There are some mildly positive reforms for older Australians – enabling access to state concessions – and some additional funds to assist single parents return to work. However, it is strongly punitive towards many of the most vulnerable. The budget seeks to save $4 billion in new “integrity” and “mutual obligation” reforms. There is no funding to increase what is now a tragically low unemployment benefit (Newstart). Instead, there are new enforcement measures. These are largely constructed around drug and alcohol use. They include measures to force more recipients to access their money through a “cashless welfare card” that directs how people spend their money. More surprisingly, there are harsh measures that include trials of drug tests, harsher breaching rules (that often leave recipients with no income), and even restrictions on accessing support for disabilities related to substance use. That reflects a very strong populist attack on some of the most vulnerable. It also reaffirms an important political dynamic in Australia: when we frame action for everyone (as we do with health, education and housing), it is much easier to achieve equitable action. And when action is focused on the very poor, the political instinct is to attack. The Coalition once again cut overseas aid, as it has done now for several years running. However, the cuts in this budget will not be felt for another two years and are smaller in annual terms than those inflicted in the previous two years. Aid spending will, as promised last year by Foreign Minister Julie Bishop, increase in line with CPI in 2017-18, rising from $3.8 billion to $3.9 billion, and also in 2018-19, when it will reach $4 billion. For the following two years, though, the indexation of aid to CPI will be suspended and the resulting savings, $303 million, redirected to “other policy priorities” of the government. CPI indexation, according to the government, will resume thereafter. Since coming to power in late 2013, the Coalition has fashioned five aid budgets, starting with its revision of Labor’s 2013-14 aid budget. In addition, it has now set notional bottom lines for the next three, out to 2020-21. Over these aid budgets, aid has been or will be cut in real terms six times. The biggest cuts were in the last two budgets, 2015-16 and 2016-17, where aid was cut by 20.2% and 7.4% respectively. After the reprieve in 2017-18 and 2018-19, when there will no real growth in aid, the cuts resume in 2019-20 and 2020-21 at the modest rate of 2.5% per year. The cumulative cut in aid from 2013-14 to 2020-21 will be 32.8%: basically one-third. Australia’s aid as a proportion of its gross national income will stagnate at the historically low level of 0.22% for several years, and could fall to 0.2% by 2020-21. Australia’s aid generosity is now very far below the OECD average of 0.32%. We rank 17th among our peer countries on this measure. The Turnbull government will divert foreign aid funds to boost Australia’s intelligence agencies as part of its escalation of the war on terror. However, it had the basic story about right. The Coalition pledged in late 2013 to increase aid in line with inflation. Last year, implying that it had finished cutting aid, it revived that pledge. However, the Coalition has only maintained aid in real terms in two of eight years. While it cannot be claimed that aid is funding domestic policing or foreign intelligence, these are prominent among the “other policy priorities” the government is able to pursue by cutting aid. Defence wasn’t expecting anything in tonight’s budget, and didn’t get it. The 2016 Defence White Paper and the 2016-17 budget both proposed minimal changes for defence in 2017-18. This was not because of a lack of support, but because the ten-year funding plan to raise the defence budget to match 2% of GDP by 2020-21 is largely backloaded, and because the Department of Defence is struggling to spend the funds it already has. … reductions in the numbers of consultants and contractors used in Defence, as well as limiting the costs of non-operational overseas and business travel. There is also $350 million in support for Veterans Health – an important and popular measure that was announced two days ago. Freed of the need to devote new significant resources, the treasurer’s speech confidently reiterated the government’s commitment to the 2% target. While there are underlying issues with the notion of tying defence spending with the health of your economy — namely the worse the global situation, the easier the 2% target becomes – this stability itself is welcome. Over the last decade, defence has seen significant promises of spending and some harsh cuts on budget night. So no news is good news. Many will also be pleased to see the return to surplus remains a priority. While not a defence measure, this provides additional flexibility and resilience, which could be important for Australia’s security in the unpredictable Trump era. There are no big shocks for the ABC in this budget, as the national broadcaster is only one year into its current round of triennial funding. SBS has won a cash injection to make up for lost advertising revenue, and broadcasters in general have won a reprieve from licence fees. However, it’s women’s sport on pay TV that seems to have done best of all out of the 2017 budget. The government has levelled the playing field for media companies that are struggling to compete against internet-based media by abolishing licence fees for broadcasters and datacasters that use broadcast spectrum. However, it is also broadening the revenue base through a new regime of apparatus licence fees for broadcasting spectrum. The change is estimated to cost $414.5 million over the forward estimates period. … support package is estimated to have a cost of $24.8 million over the forward estimates period. And the Australian Communications and Media Authority will receive a small cash injection to make the transitional support package work. … underrepresented sports on subscription television, including women’s sports, niche sports, and sports with a high level of community involvement and participation. In addition, $6 million will be spent over two years to support the development of Australian film and television content. … restore revenue that could not be raised due to the delayed passage of legislation, which would allow SBS further flexibility in the way it advertises. Science has largely flown under the radar in a restrained budget, with no big spending measures and no major cuts apart from the university funding changes announced last week. It is pleasing to see an astronomy partnership with the European Southern Observatory that will ensure Australia’s access to world-leading optical astronomy facilities, as well as new funding and administrative improvements in health and medical research, including the first investments from the Medical Research Future Fund. It is also positive that the tried-and-tested CRC program will benefit from the government’s advanced manufacturing industry focus. But it was disappointing that the budget didn’t include any of the recommendations of the review of the R&D tax incentives. There are small decreases in indexation of funding across the forward estimates equating to savings of several million dollars per year in agencies such as ANSTO and CSIRO, and funding programs such as the ARC and NHMRC. These will certainly be absorbed, but will add to the challenge of doing important science and innovation in areas of critical national importance. The science sector will now look ahead to the 2030 Strategy for Science and Innovation, to be finalised by the end of the year, and the government’s response to the Research Infrastructure Roadmap – which will determine priorities for new capital investment. As far as science is concerned the 2017 budget could be described as 2014 budget-lite. There is no vision for the role of science and technology in Australia’s future. Instead what stands out are the cuts to universities and to the CSIRO. The National Innovation and Science Agenda (NISA) made the 2016 budget very exciting, even if a little disconcerting. There wasn’t much new money behind it and what there was largely reversed the disasters of 2014 and 2015. But NISA was the kind of vision that we ought to expect from a budget, a vision for the economic direction of the country, one that can guide its productive capacity, meet current challenges and show the way to continuing prosperity. Where did that vision go? There is none of it in the 2017 budget. A less-than-enthusiastic electorate reminded politicians there needs to be more to an innovation-driven economy than everyone developing an app. Clearly the average citizen needed to understand where innovation-driven automation and other labour productivity improvements leave them in relation to earning a living. If the 2017 budget does nothing else it confirms that the government has not risen to these challenges, and has lost its faith. In the face of the electoral blowtorch it has simply melted away. There are a few modest and sensible initiatives that are a legacy of the 2016 rush of blood. Their gestation has been so long, like the activation of the Medical Research Futures Fund, that you would have expected an elephant rather than a mouse, but they are positive moves nonetheless. What is seriously disappointing is the cutting of funding to the universities and to the CSIRO. Universities contribute probably more than three-quarters of Australia’s basic research. University research is seriously underfunded, and the underfunding is made up via transfers from other areas, particularly teaching. The cuts will make this worse, which leaves no room, let alone incentive, to engage university research and teaching more with industry. What this budget represents for science is a retreat from any serious vision for an innovation-based economy, and a return to the unthinking cost cutting of the 2014-15 budgets.